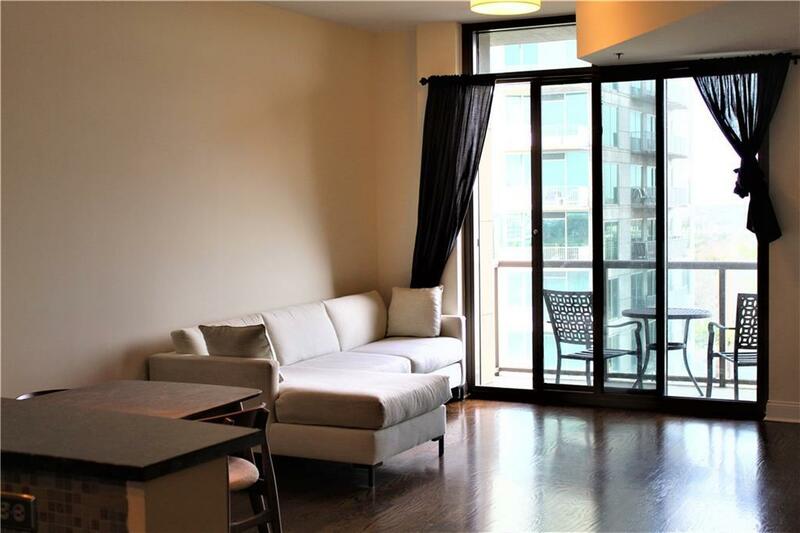 Very large 1 bedroom 1 and 1/2 bath with amazing views from the family room floor to ceiling windows! 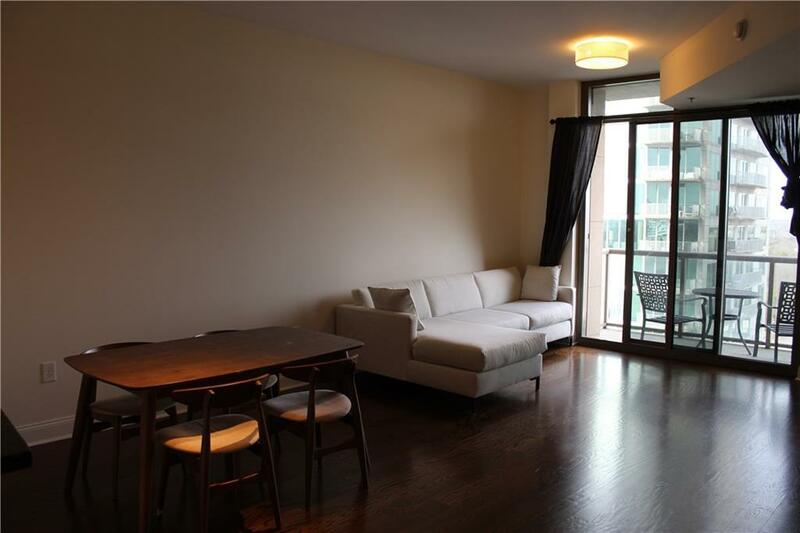 Gleaming hardwoods throughout living room and large bedroom. Stainless appliances, gas cooktop, stained cabinets and granite counter tops complete the chef's kitchen - which opens to dining area and living space. 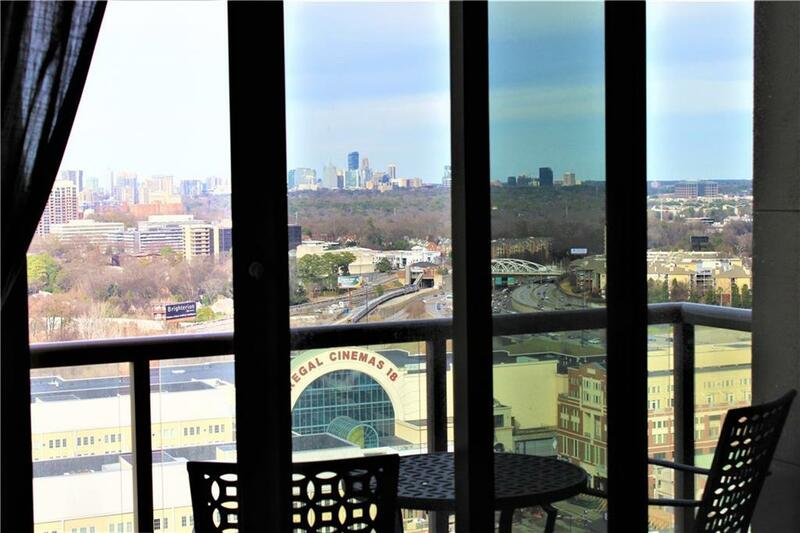 Step out on the large balcony to overlook Atlantic Station and views to Buckhead! 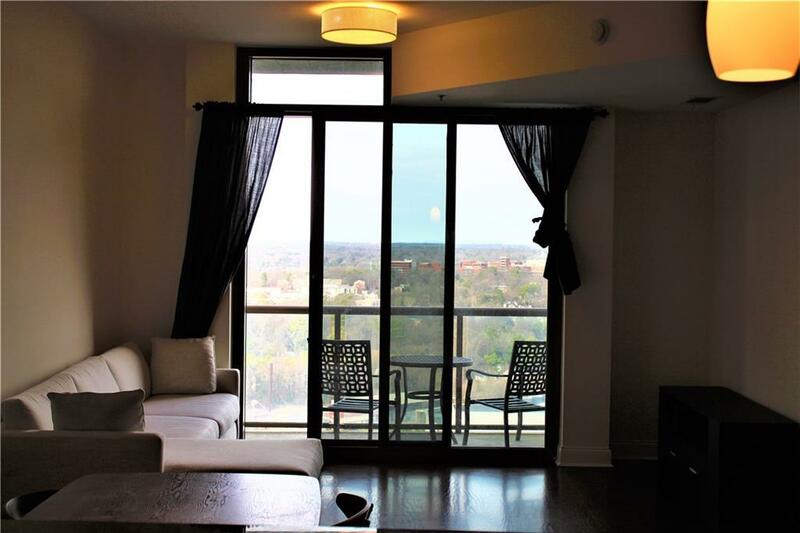 Wonderful master suite with walk in closet and spa bath including separate shower and large soaking tub. 1/2 bath and great storage make this one great place to call home!